Gandarawatte village is sited on a hillside overlooking the Indian Ocean just east of Matara town in the Southern Province. In 2008 a team of student volunteers provided funding for a multi-purpose community building here adjacent to the temple, and spent two months in voluntary teaching and community support and development activities. Volunteers have sustained our activities and our partnership here since this time. 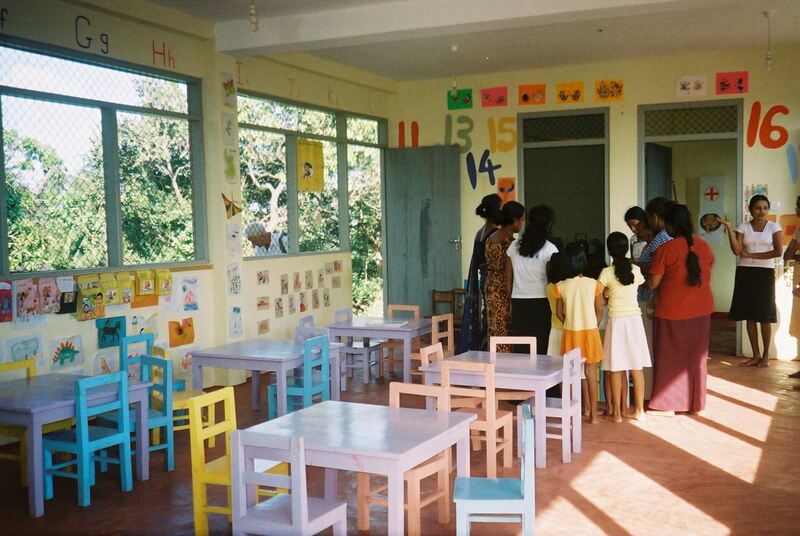 Since 2009 our volunteers have made very regular visits to Gandarawatte to sustain our work in this village. Reference to contributions since 2009 will be found in the diaries located on the pages for our more recent partnership villages. In late 2013 the pre-school temporarily closed because of the illness and subsequent retirement of the teacher who had provided many years of service. We are very happy to report that the school re-opened in January 2015 with a new teacher.